Thanks to Judi Rawlings for allowing me to use her Plants Anonymous business as a case study! Software has no imagination. Everything has to be entered precisely for software to work. This is especially true with setting up a shopping cart. 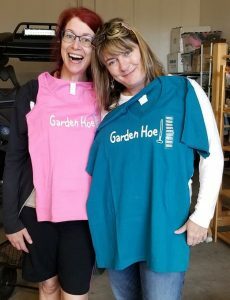 For this article, we will discuss setting up a shopping cart for t-shirts using Plants Anonymous as an example. At the time of this writing, Plants Anonymous uses Shopify for their shopping cart platform. But, whatever the software you use, there are common, management and organization decisions that have to be made about how to set up product categories and options. So, What’s the Big Deal about Product Categories? If you sell t-shirts in several styles, sizes and colors, should you set up a new product for each style, size and color combination? And, what if an XXL t-shirt is more expensive than the child sizes? Should you have adult and child sizes in separate products because the price is different? Whether or not you can group them depends on how robust system you are using is. So, there are two main considerations, 1) what is the most comfortable for your viewers, 2) what will your software accommodate? Following the chain of custody of a manufactured product, you certainly hope that when you send the manufacturer an order for the brown t-shirt in size large, they don’t send you blue t-shirts in size small. Your clients want the same precision. That means that both the manufacturer’s system and your shopping cart have to have a way to differentiate between all of the variations in your products. But, how you order from the manufacturer is not necessarily the best option for your viewers. In fact, it’s generally not user-friendly to burden your viewers with unfamiliar business-to-business practices. And, it would be inefficient for you to have to enter each size and color as a new product.So, you have to determine what is a base product and what are “variants”. In the t-shirt example, the first thing to do is identify all the features of the product line. In the case of t-shirts, some of the features are 1) design on the t-shirt, 2) style of the t-shirt, 3) color, 4) size. Manufacturer is only a consideration if you are carrying a special brand that viewers might care about. Which of those 4 features are top level categories? It might be kind of fun and funky to categorize your t-shirts by color. There might even be specific markets who want a particular color. But, it would certainly be inconvenient for viewers who want to see the designs first. This brings up the issue that the way that the products are set up in the backend or dashboard of your software, can be very unrelated to how you choose to set up your navigation for your viewers. 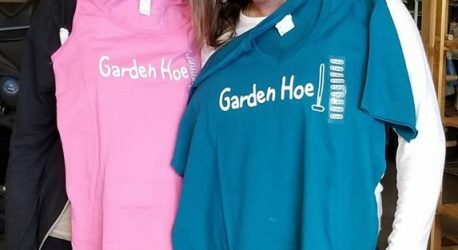 For example, the navigation for Plants Anonymous is based on their three main collections of sayings: The Dirt Shirts, the Garden Girl, and the Garden Hoe. Plants Anonymous chose to focus on the sayings in their menu. The last two menu items are for other types of items.